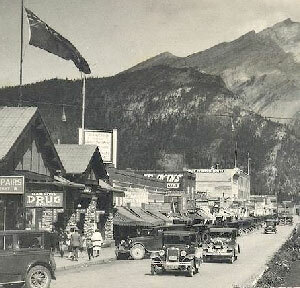 The time lapse photos on these pages allow you to compare a landmark scene in Banff over two different time periods, using historic photographs provided by the Harmon Gallery and the Whyte Museum. You will need Adobe's Flash Player to view these pages. If you have any old photos you would like to contribute to this section, please contact the Planning Department at 403.762.1215.